420 Extra Pale Ale was first brewed on April 20th, 1997, hence the name… We’re not entirely sure that’s the real reason behind the name, but we can provide you with a tidbit of trivia to impress your friends: the brewery was named after a local creek. This particular beer is a West Coast Style Pale Ale with aggressive hop character in the aroma, flavor and finish. Look for piney, resinous, grapefruit notes, flourishes of sweet peach and a hint of hop spiciness. Solid malt backbone balances the hops, but gives them the final word with a crisp, bitter finish. A 2002 Silver Medal winner at the GABF, and great with lobster, mussels or clams. So you want to start a brewery… You know you’ve got the drive. You know you have the creativity to concoct and market your sweet brew. What else is there to consider? Well, plenty, but for starters: location, location, location. All breweries have to consider this critical issue, and when Frederick Bensch and Kevin McNerney started dreaming up their brewery plans, they quickly realized that their college stomping grounds in Colorado had plenty of beer on tap already. 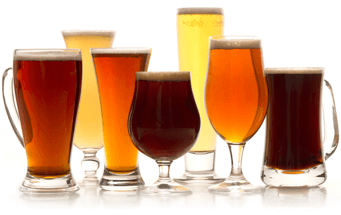 Since the early to mid 90s, Colorado has consistently ranked at the top of the U.S. market for microbrewed beers. So, what to do? Well, how about sell nearly everything they owned, pack up their few remaining worldly possessions and drive to a place with a little less competition; a state that until recently placed 48th in the nation in terms of beer production; a market as soft as a fresh Georgia peach: Georgia of course. This cross country trek is exactly what Frederick and Kevin did in order to found the Sweetwater Brewing Company. Their ambition wasn’t simply driven by pie in the sky dreaming—these fellas worked at no less than 7 microbreweries in Northern California and Colordo—heartlands of microbrewed nectars—before making the journey. The Sweetwater Brewing Company opened its doors on February 17th, 1997. Today a 25,000 barrel microbrewery, they were recognized in 2002 as Small Brewery of the Year at the Great American Beer Festival, and for 8 years in a row have been named “Best Local Brew/Brewery” by the readers of hometown publication Creative Loafing. Need more convincing? (Then you haven’t tried the beer yet!) 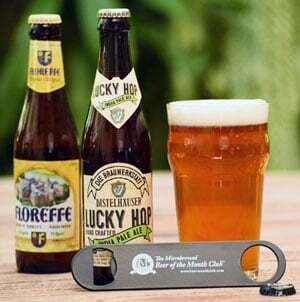 They were the second most decorated brewery in the world at the 1998 World Beer Cup. For those of you lucky enough to reside in or if you are planning to visit the sweet peach state, doors open at the Sweetwater Brewery on Monday afternoons at 4:20PM to the public. Yes, 4:20 on the dime… For more information about the brewery and scheduled tours, call (404) 691-ALES or check out their web site at www.sweetwaterbrew.com.